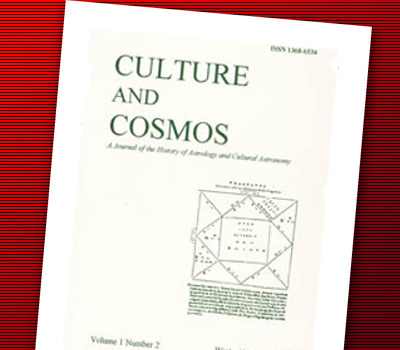 Culture and Cosmos is linked to the Sophia Centre for the Study of Cosmology in Culture at the University of Wales Trinity Saint David, and to the Centre's research and teaching projects, including the distance-learning MA in Cultural Astronomy and Astrology. Open scholarship. 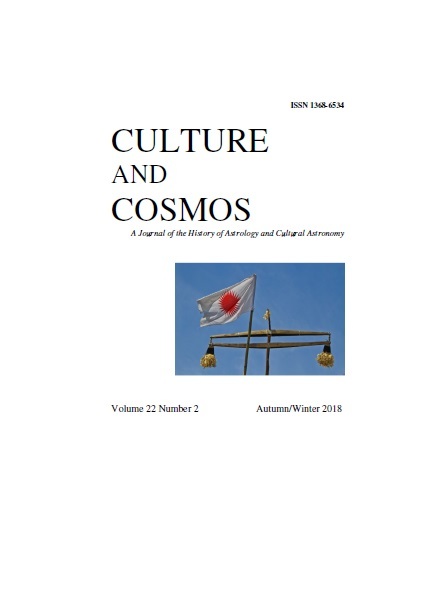 Since 2017 Culture and Cosmos has been open access and on-line. Support us. We have not charged subscriptions since becoming open access. 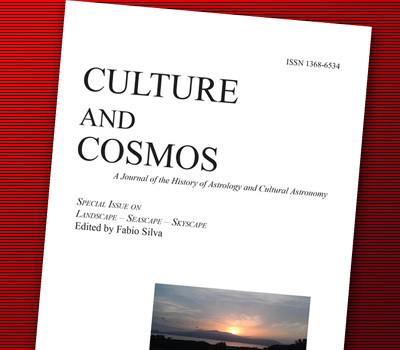 Culture and Cosmos charges no fees for publication. 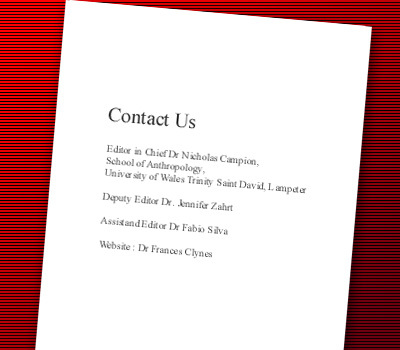 It is subsidised by the good-will of its contributors and editorial team, assisted by the Sophia Centre and the University of Wales Trinity Saint David. You are free to download any papers. However, if you wish to support us, please consider purchasing a bound hard-copy volume. All new issues and selected back issues are available to purchase from Amazon. Wide-ranging scholarship. Culture and Cosmos will consider submissions in the subject area from any culture or time period. Suitable topics include academic inquiries into the relationships between astrology and astronomy and all aspects of culture, including the arts, religion, philosophy, politics and the built and natural environments. Topics may range from prehistoric monuments to Renaissance art or the ethics of the space race. Past double-issues have included volumes on the stars in Japanese culture, and Johannes Kepler's use of astrology. We also include research into the philosophy and practice of astrology in all cultures, including the history of astrological techniques. Rigorous standards. All submissions will be peer-reviewed for content and style.